'...there I was in the middle of Bogota, coked up to my eyeballs, in a hallway holding two machetes, while some drunk Colombians argued about whether or not to blow up a bar with a live hand grenade...' Asia has the hippie trail. 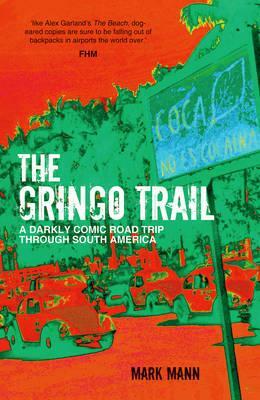 South America has the gringo trail. Mark Mann and his girlfriend Melissa set off to explore the ancient monuments, mountains and rainforests of South America. But for their friend Mark, South America meant only one thing: drugs. Sad, funny and shocking, The Gringo Trail is an On the Road for the Lonely Planet generation - a darkly comic road-trip and a revealing journey through South America's turbulent history. Drama and discovery. Culture and cocaine. Fact is stranger than fiction.